I'm afraid I haven't received any messages from you, Magister. Did you use the HC Messenger? My god! The animation is so good it could have been an original heroes III monster! You have my respect as a brilliant monster creator! I like the other monster, also. Good job,I like it . i just hope that the rest of the creatures will be as good as this one . And good luck! Edited by Cepheus at 14:14, 01 Jul 2007. The hero portraits are proceeding smoothly. All of the heroes shown are working perfectly in-game. Edited by Frozen at 06:52, 03 Jul 2007. Wow, this town is incredible! I reviewed all your work at the moment and I have to say that this town has significant potential. Personally, I was wondering if possibly I could help out with this town. I think that the buildings for the town could use more work, and they could be more elegantly done (in 3D for example, you should look at the Bastion town screen for their approach to 3D buildings). Now here is where I come in. I used to model and render 3D images and objects a while back; at the moment I am rusty, but I am willing to review 3D modeling so I may help with constructing 3D buildings. With 3D buildings and other such changes to the town screen, this project could be near perfect. Also I would like to be a tester as well . But if you guys have any other things that need to be done, I am willing to do it. Edited by Cepheus at 10:00, 03 Jul 2007. Nice spaceship, uh... thing! Seriously, it looks great. I for one think the team could really use someone like you with some expertise in graphic design. The towns are looking pretty good at the moment, but you are of course right that they could use a touch of refinement. You should present some of your work at the Recruitment part of the Two Islands forum, which you can access at the 'Vori Portal' link above. Best of luck! Oh, one last thing - we are creating two towns, not just one: a Regnan (Pirate) town and a Vori (Snow Elven) town. The Vori town graphic isn't ready to be released yet, as I believe. That's your opinion and that's fine. But we're going to make it anyway. Some of the units are work-in-progress and will be updated as time goes on. Er, we haven't actually given any details on the storyline yet, and Vori and Regna have existed all throughout the Heroes series, so I don't know what exactly you mean here. And Heroes III doesn't need the Bastion, or the Grove, but both projects are excellent and will add tons to the game's variety. So will the Two Islands mod. It's ok frinde,i respect that. I just think that you guys can do better thing,while piret town did cross my mind.instead of doing 40404040 projects,lets do 1,with 4303030 people! it would rock i think..
How exactly are you going to place this town in the game itself? Are you going to use existing towns to place this town into the game? We're going to replace two existing towns to add ours. That way we don't need to wait until the add option will be avaliable. Of course we'd like to add Regna and Vori towns without replacing existing ones, but that is out of the way nowadays. We'd have to wait like the rest of other town projects and we do not want to. That's quite simple - everybody else want to add their town into the game, but not to replace anything. That's why their work has stopped halfway. That, or they just lost interest. We'll do our best to finish this mod, so don't worry about that. 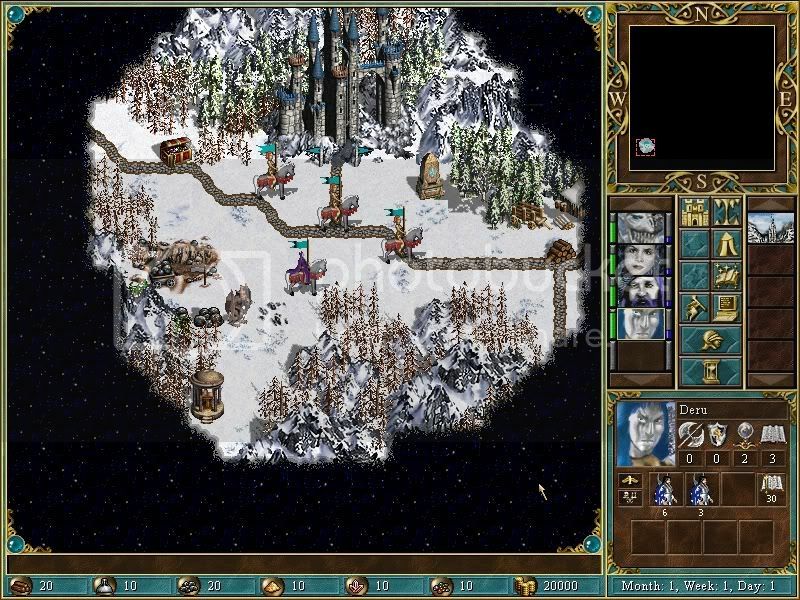 great news that you are going to release this mod and not wait for WOG 3.59. I like this mod and don't mind one bit about replacing another one to insert it. I realy like the bastion and grove towns as well, but like you said they seem to be waiting for 3.59! Good luck and great work to all involved. Edited by T2_2112 at 03:16, 13 Jul 2007. Hydra head , Rust wing right ? Edited by Magister180888 at 19:24, 13 Jul 2007. It would be good to know how it is going to move, now.